Dental braces are the most reliable way to achieve straight and healthy teeth. Whether your child’s teeth are misaligned, or you’ve never had braces yourself, Dr. Wakefield offers orthodontics in Cambridge to meet your needs. As a family-friendly dental office, our braces solutions correct multiple dental alignment issues experienced by patients of all ages. Call or visit us today to learn more about the orthodontic treatment best suited to meet your expectations. If your child is experiencing multiple and complex problems from the list above, braces can also be customized to correct all issues in the least amount of time. Straight teeth help kids more easily brush and floss and provide them with a boost of self-esteem. 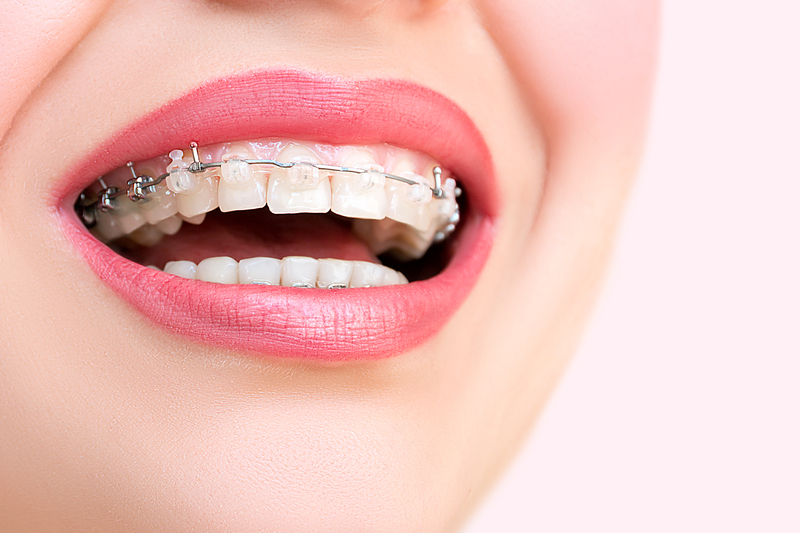 Attachments like diagonal bands and headgear can be attached to braces to create a healthy bite and ideal alignment. As much as developing smiles benefit from orthodontics, mature patients can take advantage of the health and aesthetic benefits of braces as well. Adult dental braces are ideal for those who never received orthodontic attention as children or those who did have braces but haven’t kept up with retainer use and are experiencing a slow relapse. Tilted, rotated, and twisted teeth can all be corrected with orthodontics. At the office of Dr. Wakefield, we understand that adults are more concerned with their appearances than young children, which is why our braces can be customized to be as unobtrusive as possible. You can choose from tooth-colored and ceramic braces, white wires, and other cosmetic braces solutions at our office. Visit us for an Orthodontic Consultation Today! You don’t have to live with misaligned teeth! Dr. Wakefield and her team are here to provide customized orthodontic solutions to help you achieve the beautiful smiles you’ve always wanted. Contact our office today to learn more about braces in Cambridge from our family dental office.